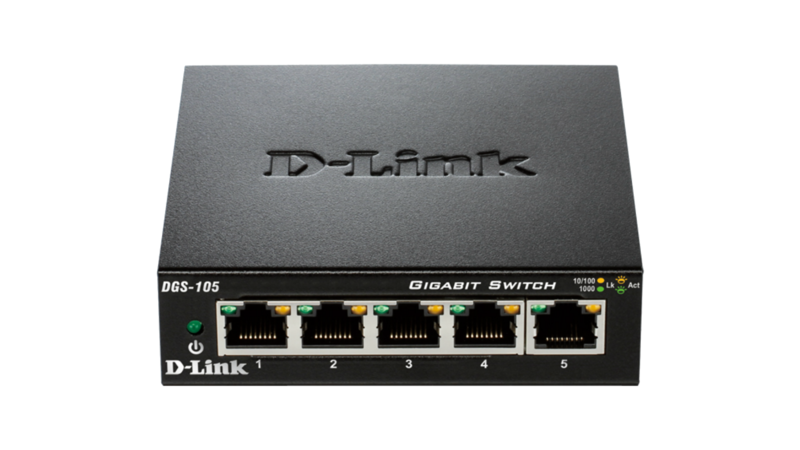 The DGS-1005D 5-Port Gigabit Desktop Switch is part of D-Link’s series of SOHO devices that allows you to easily expand and upgrade your network. 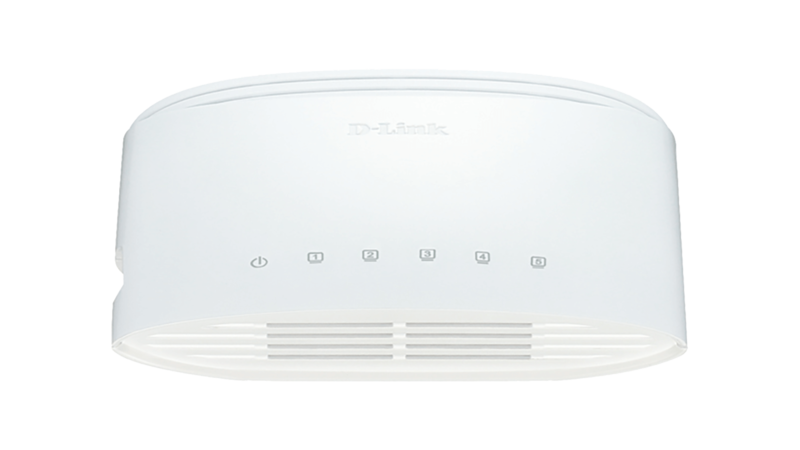 D-Link’s Green Technology provides energy savings, reduces heat, and a longer product life without sacrificing performance or functionality. 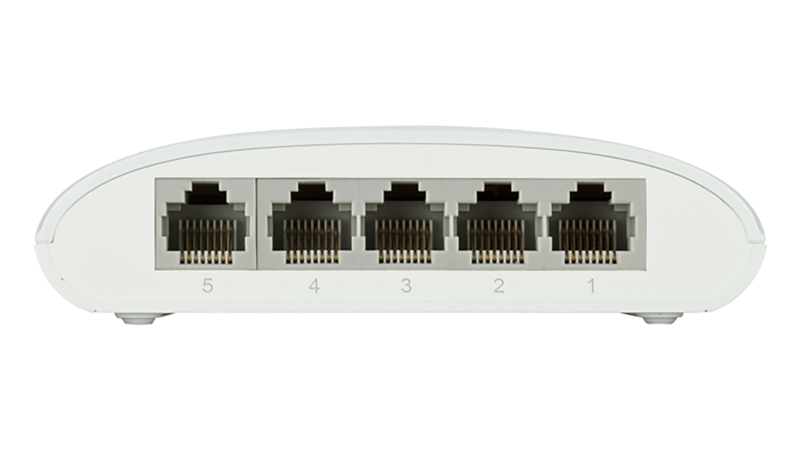 DGS-1005D provides five Gigabit ports for easy expansion of your network and a quick way to upgrade your network to Gigabit connectivity. An energy-efficient power adapter (EnergyStar Level V qualified), minimised use of harmful substances (RoHS compliant), and recyclable packaging make this switch truly environmentally friendly. 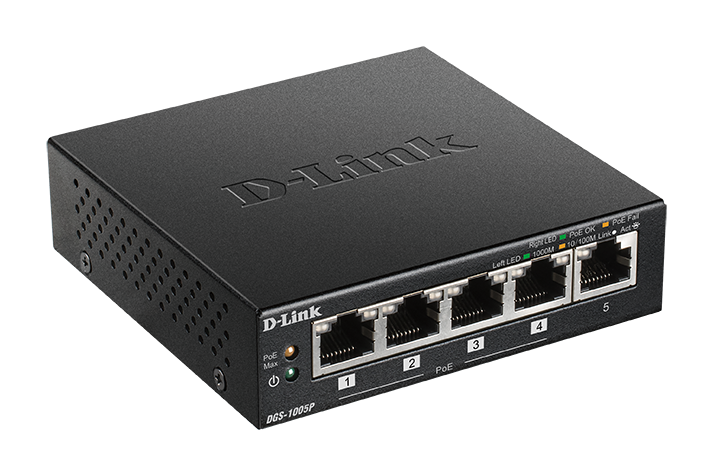 The D-Link DGS-1005D 5-Port Gigabit Desktop Switch creates a blazing fast network for your office, as its Gigabit Ethernet ports provide high-speed wired connections for up to five PCs or other devices. 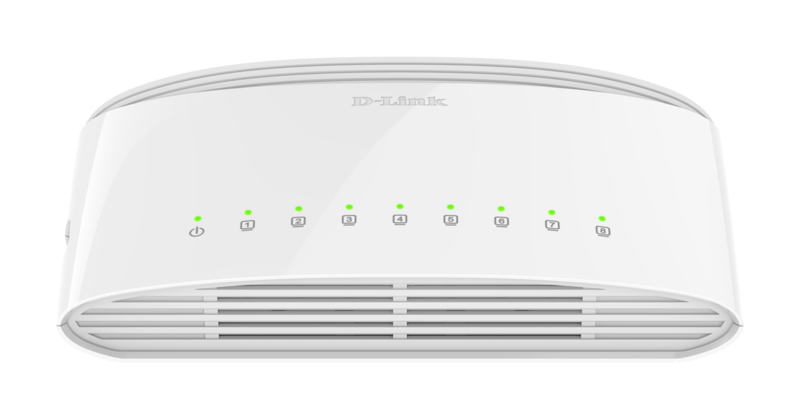 The DGS-1005D also features QoS, which prioritises network traffic so that time-sensitive data is delivered efficiently, even during bursts of high data traffic. 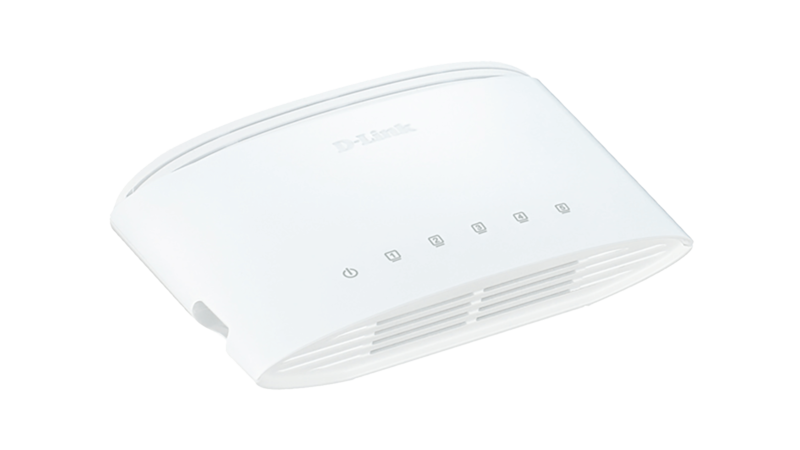 It’s stylish, easy-to-use, and comes IPv6-ready for a reliable network today and tomorrow. The 5-Port Gigabit Desktop Switch helps you conserve energy automatically through several methods. It automatically powers down ports that have no link, allowing the switch to save a substantial amount of power by cutting power usage for unused ports or ports connected to computers that have been shut down. The 5-Port Gigabit Desktop Switch was designed with the environment in mind, and is compliant with Energy Star Level V, as well as with the stringent CEC and MEPS regulations that require the use of energy efficient power adapters. The switch is also built to follow RoHS standards to minimise use of hazardous materials, and uses recyclable packaging that helps reduce waste, complying with the WEEE directive.